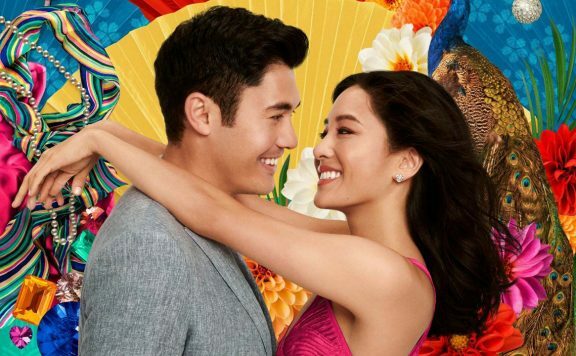 Aaron Neuwirth reviews Crazy Rich Asians, a romantic comedy with plenty of sights and food of Singapore to behold, along with a familiar story. 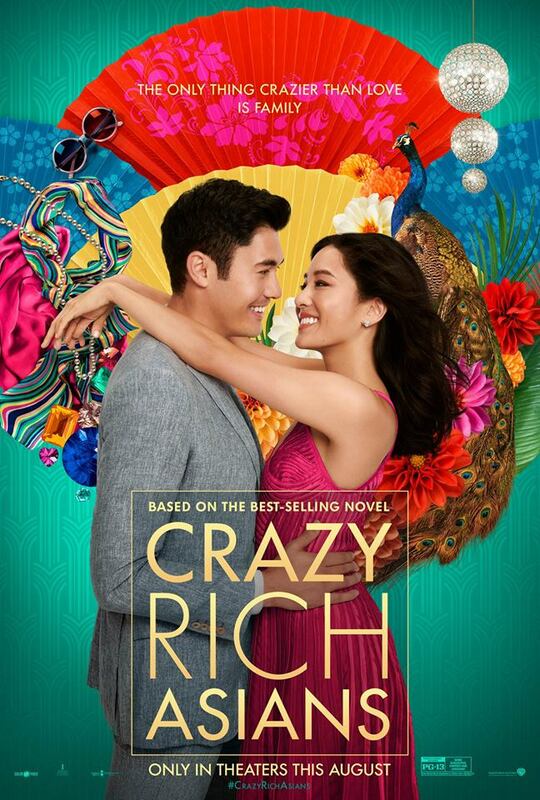 In a vacuum, I suppose Crazy Rich Asians could be treated like many other standard romantic comedies. From a story perspective, it has little to offer that has not been seen before, give or take a few tweaks. Of course, that would be highly dismissive. Here’s a major motion picture from an American studio that features a predominant number of Asians and Asian-Americans in leading roles. That very fact does not make it automatically good or excuse the film from its missteps (however minor or major), but given those involved in front of and behind the camera, it does mean having a movie that’s uniquely specific. Constance Wu stars as Rachel Chu, a Chinese American economics professor at NYU. She’s been dating Nick Young (Henry Golding) for over a year, which prompts him to invite Rachel to meet his parents in his home country of Singapore, where they can also attend Nick’s best friend’s wedding. Rachel accepts the invitation and quickly learns something about her beau. As it turns out, Nick is part of an incredibly wealthy family. While a surprise to Rachel, it is nothing compared to the amount of pressure she soon learns she will face to please Nick’s family, most notably his mother, Eleanor (Michelle Yeoh). Right off the bat, something was biting at me about this setup. How would Rachel go a year without learning about Nick’s massive wealth and social status? As much as I try to push certain thoughts down, knowing that there would be no movie otherwise, it is the kind of factor that bugged me because of how reliant the film is on Rachel being thrust into an unknown world. The fact that an elaborate montage portraying an Asian gossip network functioning at internet and text message speeds can spread the information about Rachel and Nick’s relationship to seemingly everyone in Singapore only fuels the strangeness of this setup. Somehow, the start of this film (a year into the relationship) is the first time random Asian people spotted Nick with his girlfriend to set the plot in motion. I could carry on down a rabbit hole concerning the implications of this concept or just go with it, and obviously, that’s what the film wants us to do. This is also where director Jon M. Chu comes in. Chu has had an interesting career as a feature film director, moving from a couple Step Up films (including the best-in-franchise entry Step Up 3D) to a couple action/adventure films (G.I. Joe: Retaliation, Now You See Me 2), and some music-based films in between (Jem and the Holograms and a couple of Justin Bieber documentaries). While I was excited by Chu’s initial jump from dance films to action, given the clear correlation I see between them from a choreography and art-direction standpoint, he’s just as well-suited here. 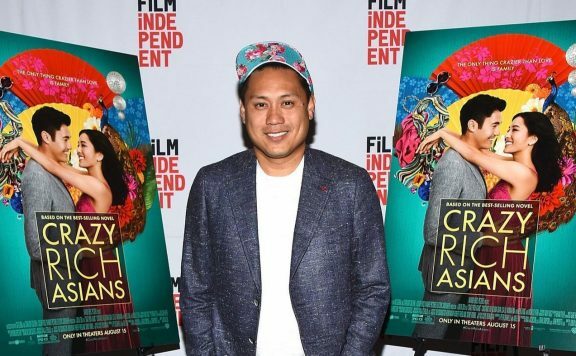 While the notion of a Chinese American director taking on Crazy Rich Asians feels as fitting as Ryan Coogler handling Black Panther (not that a filmmaker’s ethnicity/gender is a central requirement for every movie not starring white guys), it’s better to highlight Chu’s directorial sensibilities being applied so well to a film primarily set in Singapore. In addition to the aforementioned gossip network, there’s a solid visual style to accompany the narrative at play. Establishing shots do enough to set a scene and tone in a manner similar to what I found so impressive in the direction of Game Night. Some sequences eschew traditional cutting to let the camera explore the area around characters, mid-conversation. It may not seem like much, but it speaks to keeping things alive in a film that has more than a soundstage and bland production design to work with. As with many romantic comedies that can utilize a specific setting for the duration of a film, Crazy Rich Asians does little not to feel like a travelogue for the amazing sights to behold in this island country. When not entirely focused on what Rachel and Nick are up to, the film does plenty to spotlight the locals and the food. The spectacular architecture is never hidden, and some party scenes seem to go on longer than needed to explore the mansions these sequences are set in. This is a colorful film, with lots of vibrancy, and enough going on musically to further hold up interest. 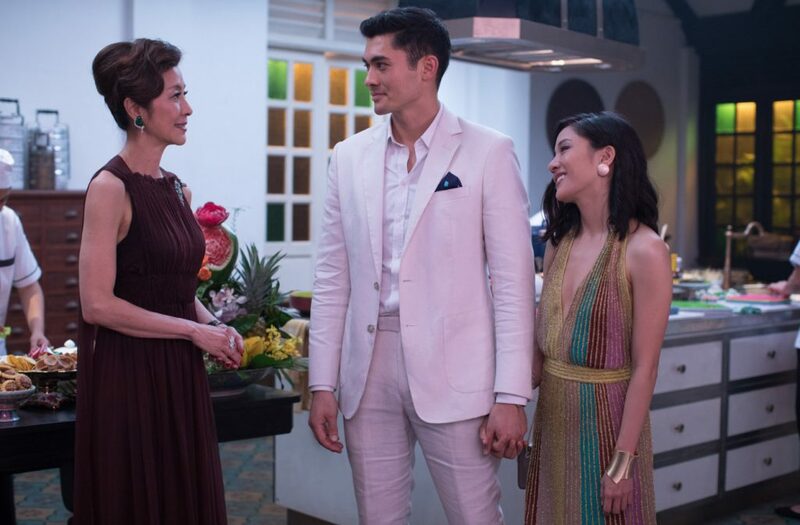 Putting aside production values for a bit, the essential aspect of Crazy Rich Asians should be how the nature of family, culture, and class serve as the critical points for Rachel to deal with. I can go back and forth on where people could stand in all of this and why these things matter, but that’s for the film to detail. What got to me was how well the movie was doing at making familiar plot mechanics feel fresh thanks to the specific culture that’s being applied. From that perspective, while I’m sure there is an audience that will find plenty to very easily relate to (no matter how universal some of these aspects are), I can merely appreciate the emotional stakes at play more than celebrate how effective the film is at handling them. 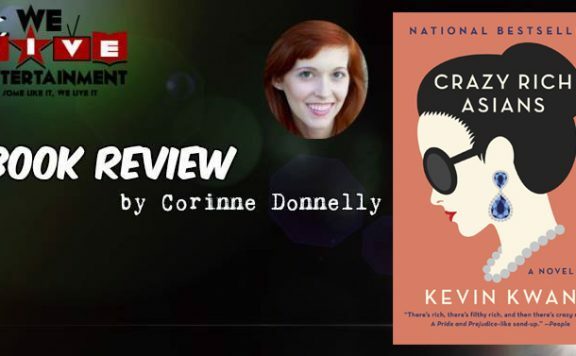 I can’t necessarily say it’s a fault of the screenplay by Adele Lim and Peter Chiarelli, or the original novel by Kevin Kwan, but Crazy Rich Asians does feel at its most effective when letting Rachel square off against Eleanor and various family and friends, or embrace the ones who embrace her. With this in mind, Wu does manage to come out great here, bringing enough warmth and humor to her part as an everywoman who has worked hard to succeed in her American life. Yeoh is also terrific in embracing a complicated, icy character looking for the best for her son, even if it’s a misguided vision. It’s the type of role that could be all archetype, but Yeoh brings layers to what we end up seeing. A handful of supporting players also provide what’s necessary. The most comedic relief comes from Awkwafina as Rachel’s Singaporean best friend from college and Nico Santos as one of the many cousins. Of the many relatives we meet, Gemma Chan’s Astrid fairs the best only because she has the most substantial subplot to work with. Golding doesn’t end up being a weak link, but casting him as something of a character equivalent to Sydney Poitier in Guess Who’s Coming to Dinner only goes so far because Golding…well, he’s no Sydney Poitier, and the character only offers so much when required. This is Rachel’s story though, and as it stands, Crazy Rich Asians does well her by her journey, however familiar it may be. The film may not be breaking too many barriers from a story perspective, but it does say a lot to have a movie like this further help to normalize diversity in mainstream cinema by way of a rom-com that can be just as contrived (a bit harsh, but bear with me) as those starring a predominantly white cast. That in mind, this is also a film that benefits from having so much culture to work with. While I’m aware that not everyone is necessarily pleased by the nature of the film’s ethnic diversity on display, I do feel inclined to give credit where its due in seeing a major Hollywood studio get this far. That the film only accomplishes so much as a narrative is a bit of a shame, but audiences are still left with a mildly funny, but very sweet and grounded film to enjoy, regardless of their country of origin. 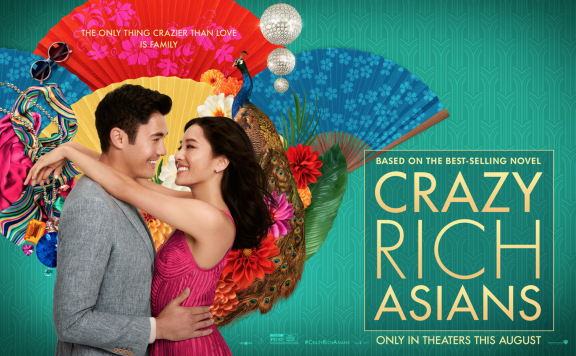 Review: Crazy Rich Asians is an Enchanting Celebration of Asian Culture with an Award-Worthy Performance by Constance Wu.